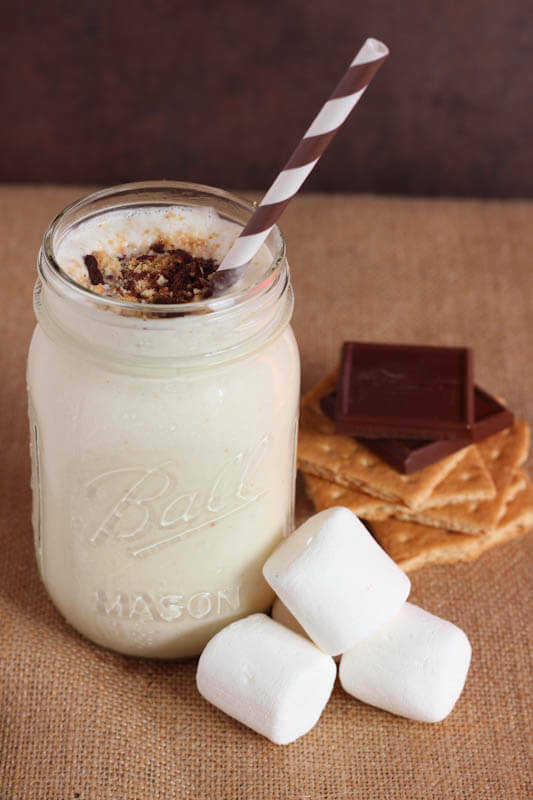 S’mores milkshake is an easy dessert made with real marshmallows, ice cream, chocolate and graham crackers! Try this homemade milkshake recipe and share it with your entire family. Growing up, Labor Day weekend usually meant two things, camping and the official end of summer. It also meant the time when all the seasonal ice cream shops would be closing for the winter. For this Labor Day weekend, I am sharing a treat that combines a camping favorite with ice cream. 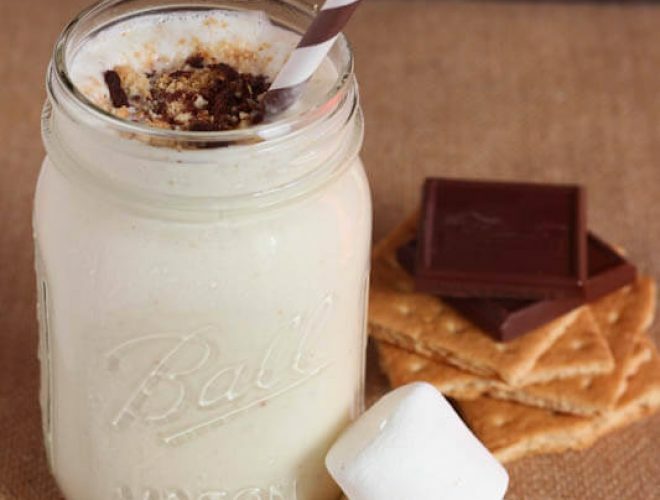 This s’mores milkshake is rich, creamy and tastes exactly like a toasted marshmallow topped with graham cracker and chocolate. 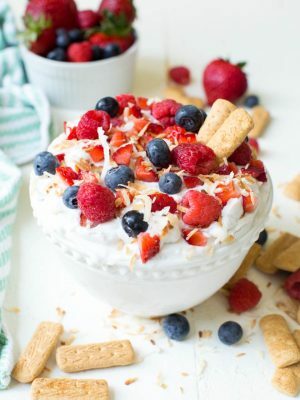 It is by no means healthy, but it is incredibly creamy and delicious and the perfect way to celebrate the end of summer. So indulge a little and have a wonderful Labor Day weekend! What could be better than s'mores? A s'mores milkshake made with fresh ice cream, graham crackers, toasted marshmallows and chocolate! Combine the ice cream, milk, and yogurt in a blender; blend well. Add the marshmallows and blend until they are broken up and distributed evenly. 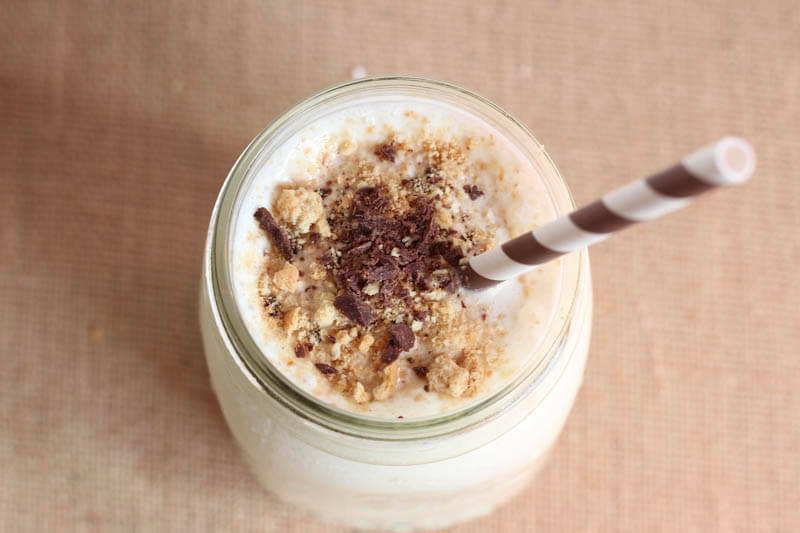 Pour the shake into two glasses and top with graham cracker crumbs and shaved chocolate, as desired. You can double the recipe for double the servings. 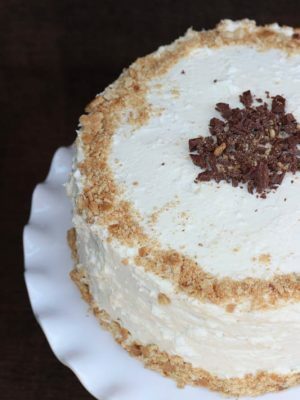 Use gluten free graham crackers or cookies to make it gluten free. This is still awesome Ashley! YUMMM!! Oh wow! I definitely need more milkshakes in my life. Ashley, this looks simply amazing. Pinning! Oh, yeah buddy. I think my husband will be a happy camper tomorrow! Yum, this looks great!! I would love one right now... great pictures too. 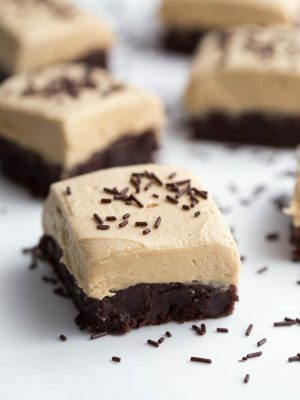 They really are the ultimate dessert! Thanks for stopping by Annie. You should definitely try it soon! I haven't had a milkshake in ages, but this look delicious -- especially with the marshmallows. Yummmm! Hope you have a relaxing weekend! I don't make milkshakes that often, but this one was definitely worth it! 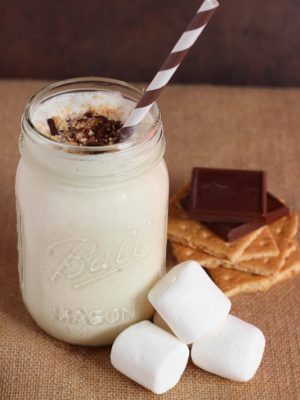 Toasted marshmallows in a milkshake sounds fantastic! I'm sad to see summer come to an end with Labor Day, but I'm so ready for fall weather. Thanks Lisa! I'm just ready for it to stop raining so much here. The fall weather will be nice too. You have outdone yourself on the indulgence scale. These sound delicious! A perfect nod to the last unofficial weekend of summer! Thanks Consuelo, I hope you have a wonderful weekend also!